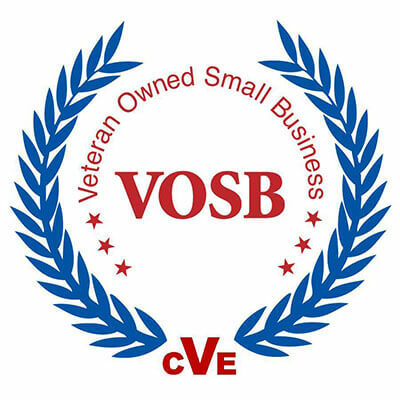 We are Veteran Owned small business with 15 years experience in helping companies obtain hundreds of GSA contract (FSS) awards. Expand Sales through a GSA Contract Award! Why Our GSA Contracting Services? We assist in all types of contract approvals, but we specialize in IT Professional Services and Medical Product contracts. GSA Contract Schedule 00CORP. The Professional Services Schedule (PSS) - The Professional Services Schedule (PSS) is an indefinite delivery/indefinite quantity (IDIQ) multiple award schedule, providing direct access to simple or complex fixed-price or labor-hour professional services. ...and many other schedule area. Click here for information on additional Government GSA Contract Schedule opportunities. www.gsa-sba.com provides General Services Administration - GSA contract services, GSA IT Schedule 70 contract services, assistance with GSA Contract Schedules and more. www.gsa-sba.com is geared for small businesses at affordable prices. ThomTech used this Green Leaf Corporation service to develop three GSA proposals. Green Leaf provided outstanding service in preparing our GSA proposals, assisted us during the negotiation process, and completed all the necessary paperwork. I highly recommend this service to other small businesses. After going through the GSA training class in Washington, DC we attempted to complete a submittal on our own. As a small IT business, we realized that we needed outside assistance to develop a quality submittal. We selected the GSA service Green Leaf Corporation offers. The communication with Green Leaf Corporation during award and GSA contract negotiation stage was excellent, resulting in a quick GSA Award. If you are a small business looking for a reasonably priced service we recommend the Green Leaf Corporation service. Green Leaf Corporation provides a high quality GSA proposal development service. Our Schedule 84 contract officer told me the proposal submittal was excellent, resulting in a quick award. Vision Security highly recommends the Green Leaf Corporation GSA contracting service provided through www.gsa-sba.com. I am extremely happy with the services I received from the Greenleaf Corporation and Andy Ronchak for our Schedule 738X submittal. Andy’s patience, wisdom and technical counsel were instrumental in achieving a successful contract award on a major GSA Contract Schedule. He also available at a moment’s notice when it appeared the process was going haywire! I would recommend Andy highly in guiding me through a very challenging process – you couldn’t go wrong in hiring him! Small business with 15 years experience in helping companies obtain hundreds of GSA contract (FSS) awards. Free evaluation to determine if your company qualifies for a GSA Contract Award. GSA contracts pre-approve your pricing.